I remember a few years ago when I first heard REO Speedwagon’s “Roll With the Changes,” I thought to myself, “Are they still coming out with new songs? I love this one.” I was completely wrong. It’s not that they aren’t touring together, because they are, but the song is from 1978! I couldn’t believe it’s as old as me, since I’m from 1978, too. In fact, the album featuring the song was released 9 months before I was born… wait a second… ew gross, never mind. I recently had Spotify on and this song played. You think people in 1978 ever thought in about 30 years you’d be able to listen to music in your car, through your phone, on your way to…say, vote for a woman President? They would’ve said you’re crazy! Oh, what, then you got in your time machine and hoverboarded over to the drive-in? Delusional is how they’d classify you. If you’re tired of the same old story, turn some pages. I love the sentiment of taking action. The line is simple and yet, so clever. Here are a few other favorites of mine. You’re gonna catch a cold from the ice inside your soul. So don’t come back for me. Who do you think you are? All of these people I meet, it seems like they’re fine. Yeah, in some ways I hope that they’re not and their hearts are like mine. The bride walks down just to start the wedding, and there’s one more girl you won’t be getting. Ain’t it funny how some people pop into your head so easily. I haven’t seen you in there for so long. Or tell your Aunt Louise, tell anything you please. Myself already knows I’m not okay. Or you can tell my eyes to watch out for my mind, it might be walking out on me today. If you have some favorite clever lyrics, feel free to share them in the comments! personal He is, and how much He loves us, take a listen to my most recent worship playlist. You can’t go anywhere in Nashville without hearing live music, however hearing great live music might be a bit more elusive. 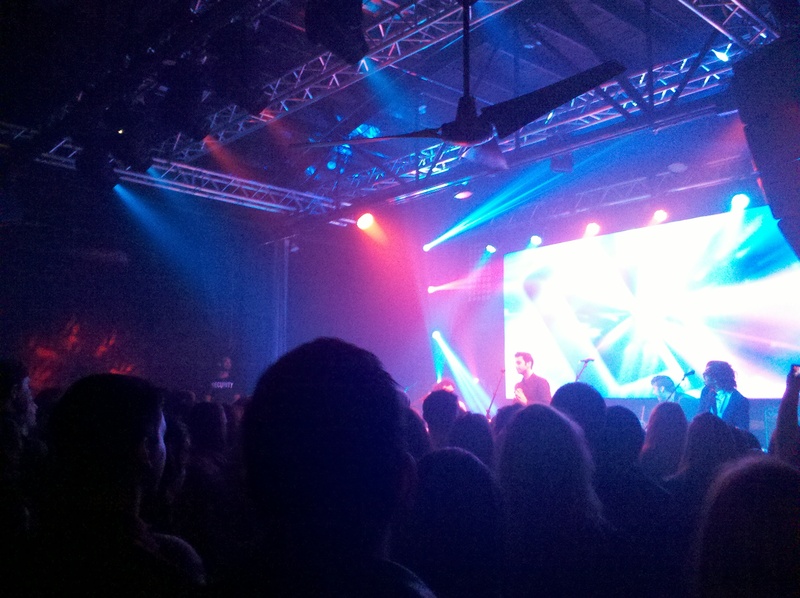 But not if you were at 12th and Porter last night. Loyal fans crowding the floors of the the downtown bar venue were all quite aware of the guys currently holding the #5 spot on the iTunes singles chart, but A Great Big World was new to me. I’ve heard their song with Christina Aguilera but that’s about all I knew. But before we get to them, let’s start with the openers. First there was My Red and Blue whose lead singer (I’m sure he’s heard this a million times) looks a lot like a European version of Eminem. In fact, if he announced to the crowd that he was from Detroit I would’ve shouted out, “We love you Marshall!” But he didn’t. So I didn’t. I don’t think he’s European either and for what it’s worth, this guy has a better singing voice than Eminem. But taking advice from the white rapper, My Red and Blue seems to be seizing their one shot, their one opportunity! They were really good. They performed original songs and even did a cover of Tal Bachman’s “She’s So High.” I really enjoyed their set! Next up was the biggest surprise of the night for me. The female band plus one guy (that’s what I’m going to call them even though the guy is obviously a very important part of the team!) called Secret Someones. I have a feeling there one hit away from being the all female band plus one guy now called Not-So-Secret Someones. They were great! I don’t typically expect a pop/rock band to feature singers that can you know, actually sing. It seems like those kinds of bands are mostly rockers that can hold a tune well enough to make music. But time and time again, the vocals of Secret Someones really took me by surprise. Not only did they sing well, but they each had quarky personalities in the best possible way. They were just plain fun to watch. Plus, I always appreciate when a band plays hard, but you can still hear the lyrics. Perhaps that’s a shout out to their sound guy. So if you have a chance to go see either of these bands, My Red and Blue or Secret Somethings, you should go. Of course, the night wasn’t near over. The headliners A Great Big World were still to come! If I’m being honest, I was worried that every song would be that sort of woe-is-me-my-heart-is-broken-let’s-go-get-some-pizza-at-Five-Points vibe you find in east Nashville. But as sure as pigs get muddy, the band kicked off with a few fast-paced songs that had me enamored with the melodies, the harmony of voices, and the lyrics the whole way through. They were entertaining, funny, comfortable on stage, and seemed genuinely happy (and thankful) to be in the position they were/are in, which is playing on a stage in Music City. Another win for them was when they incorporated a muted trumpet, a ukele, and a triangle. Yes, the triangular bar of metal you remember from church choir. I’m so glad I was able to catch this awesome show! Much like Kings of Leon or Needtobreathe, there’s going to come a point where you’ll say, “Man, I shoulda seen ‘em back when tickets were affordable!” This is that time for these 3 bands. Check them out, you’ll be impressed and that will make you happy. 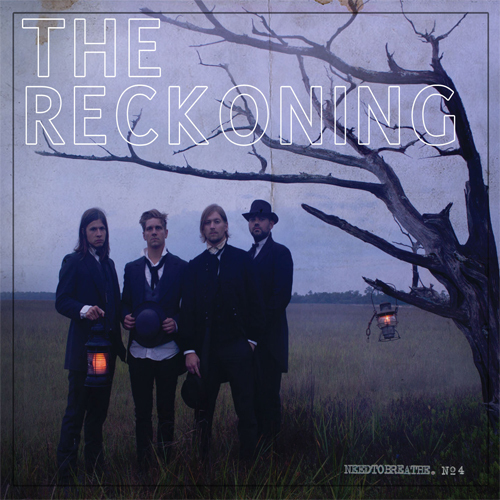 Check out ‘The Reckoning’ on Amazon here! And curse this bitter love. Living in a fallen home. Too scared to be alone. Oh, I said oh, the fight. I wish we could hit rewind. Here are the lyrics in video form.